Custom built crates for each item to assure the best possible protection. The largest most efficient crating operation in the industry. 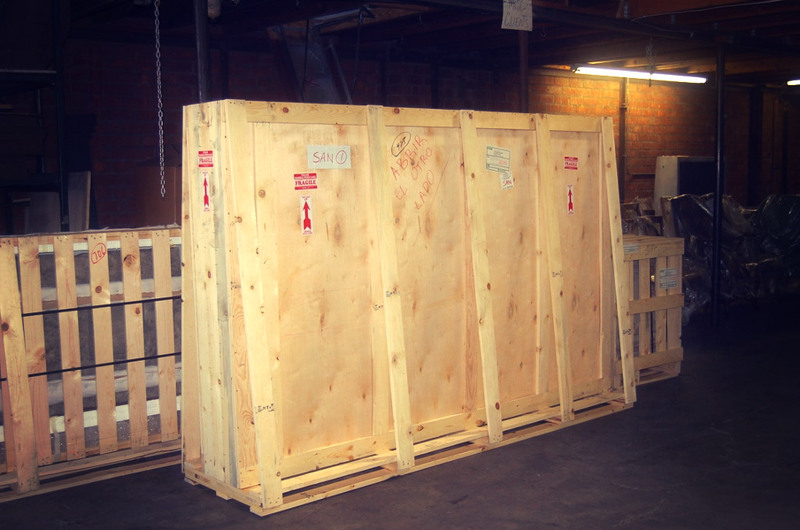 The highest standards of materials for packing and crating are utilized. Each crate is labeled with your side marks, description of contents and manufacturer’s name for easy identification. Shock and tilt watches are used to ensure safe handling. Heat treated wood is used for overseas shipping. We also provide just Crating and “Will Call” services should you have your own carrier. We offer “White Glove” residential delivery to the following main areas: Atlanta, Boston, Chicago, Houston, Miami, New York & Washington D.C. We also provide this service to other certain cities. If you need this service, please request it when you ask for a quote to see if it is available. Rush Crating is available – upon request and availability. 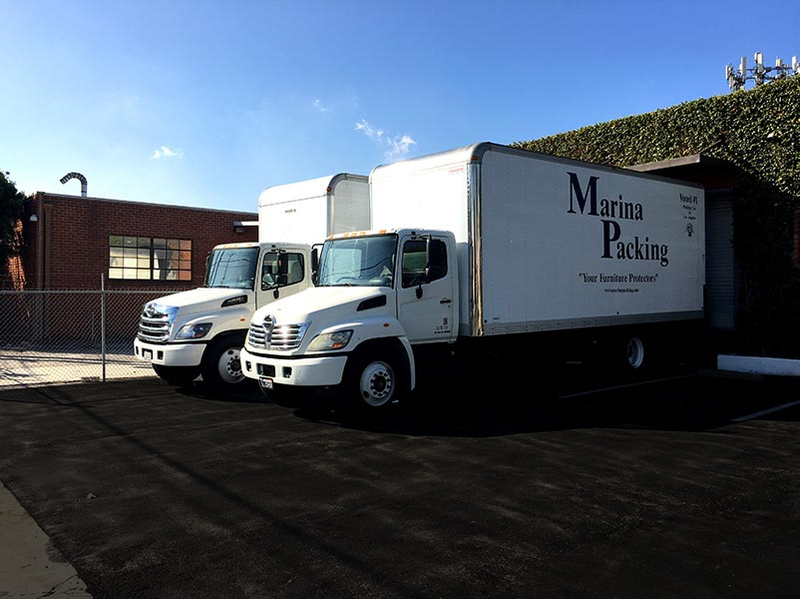 Depending on which city you are shipping to, we can provide a delivery to you in three to five business days, using our deferred truck freight service. You will never have to worry when our trucks are leaving. Delivery is quick, economical and reliable. Nationwide service for your critical shipments. Call us for Next Day deliveries by 5:00 p.m. or ask for an upgrade for an a.m. service. We have access to over 10,000 daily flights and will arrange for a routing that satisfies your service requirements. Speedy delivery at a lower price, an alternative for those urgent shipments that do not require Next Day service. Competitive price. Great service. We provide global coverage in many different ways; Air Freight or Ocean Freight, one piece or you can consolidate and ship a full container. We have expedited shipping or the slow boat, either way it is your choice. IPPC Certified Crating Company. Our crates meet all international heat treatment requirements. QUOTES FOR IPPC STAMPED CRATES, UPON REQUEST. We will pack your small items and ship them either Fed-Ex Ground or Fed-Ex Express Air.